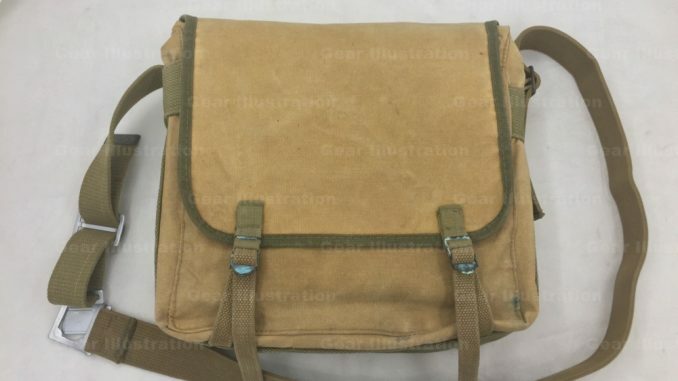 Today we received a 2nd pattern Marine M-1941 knapsack, which was installed with a canvas belt and used as musette bag. The strange thing is: that belt was a Chinese Type 65 Canvas Belt. Considering the time of this knapsack being issued, maybe it was captured in the Liberation War from KMT Army funded by the US or even from Korean War! The knapsack is very clean, no tears or worn, also there is no USMC unit stamp or name handwriting. Judging by the red and black ink marks in the bottom inner side, it was used as a briefcase by it’s pre-owner.